Unfortunately, due to sales rights restrictions, we cannot offer The Ultimate Guide To Air Force Basic Training for sale in your country. Author SrA Nicholas Van Wormer's book is a fresh and updated insider's view of what you will encounter and how to perform to graduate at the top of your class. 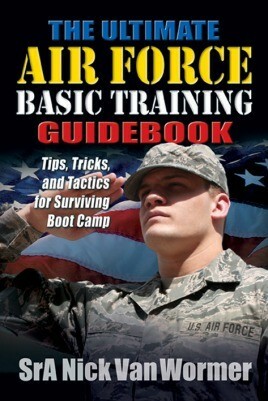 It also includes interviews with recent basic training graduates, recruiters and even military training instructors to better provide you with the most detailed guide to Air Force basic training ever published. Nicholas Van Wormer graduated from Air Force basic military training as an honour graduate in 2007. Since that time he has served in multiple missions in support of Operation Iraqi Freedom. These missions included deploying to Baghdad, Iraq in 2009-2010.